One of the most prominent HBCU alumni in media is headed towards a big pay raise. Longtime journalist and media personality Stephen A. Smith is reportedly negotiating a deal with ESPN worth between $8-$10 million, according to the New York Post. That sum would make Smith, a graduate of Winston-Salem State University, the highest paid on-air person in ESPN history. The 51-year-old is currently working under a contract that pays him around $5 million per year. He’s the sports network’s most visible person, starring in “First Take” and appearing on Sportscenter and at top tier events regularly in addition to hosting his daily radio show. It’s a long way from his journalistic beginnings at WSSU, where Smith wrote for the school newspaper The News Argus while interning at the Winston-Salem Journal. From his start as a preps reporter he worked himself up to an NBA beat reporter where he consistently broke news stories. He was promoted to general sports columnist at the Philadelphia Inquirer, where he was one of just a handlful of African-Americans to hold the vaunted position. 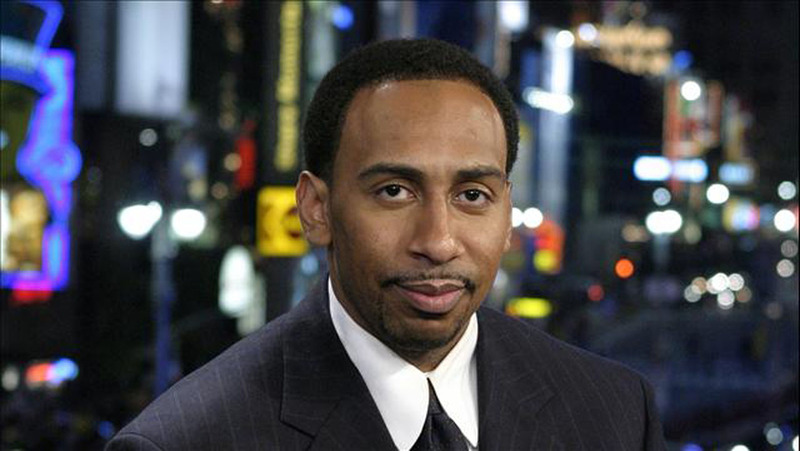 He began appearing on ESPN in the early 2000s and by 2006 he had his own show, Quite Frankly with Stephen A. Smith. The show was short-lived, but Smith has since established himself as an indispensible part of the network. Not bad for a guy from a small HBCU with a small communications department. Smith hasn’t forgotten his alma mater, giving back in both need and deed. Three years ago he pledged to give a total of $250k back to WSSU, divided between academic and athletic support. It was a generous offer, one that he will obviously be able to follow through on when his new deal comes through.